Using archival footage back to 1896, and computer animation, this program investigates the causes of "The Great War". It examines the three "isms" - Militarism, Nationalism and Imperialism, as well as the Alliance system and the fall of Bismarckian Diplomacy, the July Crisis and the Schlieffen Plan. 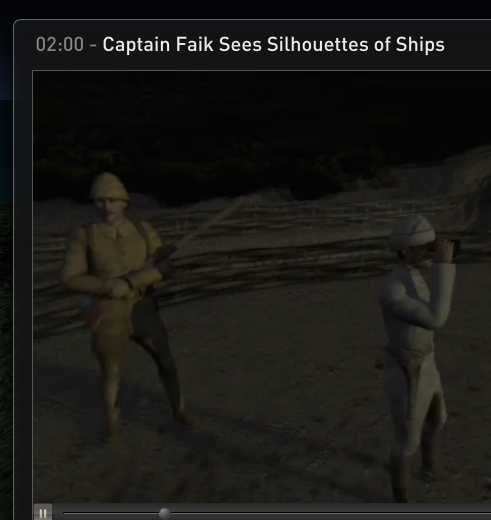 Click here to download the ABC 3D Documentary about WWI ANZAC landing at Gallipoli, 25 April 1915. Although the First World War ended 93 years ago, the conflict continues to reach the news headlines. Here is an overview of some of the most noteworthy news stories about the First World War from the past year. From History Today. An overview of Australia's involvement in WWI, including further research guides, sources and links. This Australian journey through the Western Front follows a virtual tour across the map of western Belgium and northern France. From this page, in chronological order, you can read about the battles in which Australians fought from their arrival on the Western Front in April 1916 through to the last battles of the war in 1918. Australia's audiovisual heritage online provides you with a collection of video clips on World War I. You will find a thumbnail print and a title for each video and also the source of each, the rating, and a summarised description. When you click on a video you will discover curator's notes about the video and education notes for teachers. The video clips have been taken from feature films, documentaries, television programs, and newsreels of the time. This is a wonderful website, highly recommended. Why did the ANZACs land? An online exhibition by the Imperial War Museum and the Australian War Memorial that provides you with detailed background information on the Gallipoli campaign and the important people, places, and events. A detailed description of the Gallipoli campaign, starting with the initial bombardment of the Dardanelles, to the evacuation. Includes images and maps. A brief introduction to the conscription issue in Australia. Detailed explanation of the call for compulsory military service during WWI, and how the debate divided Australian society. 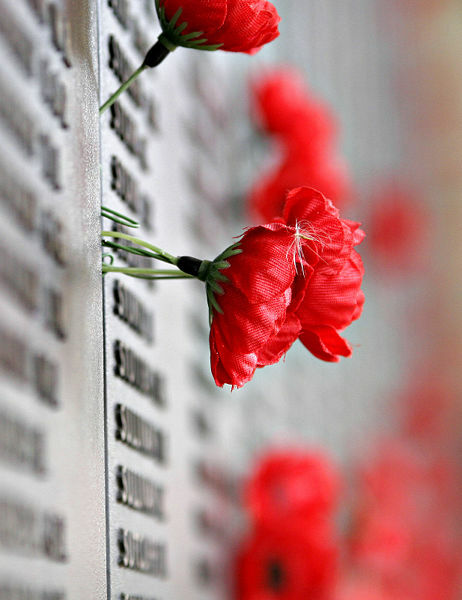 This website examines the impact WWI had on the fledgling Australian nation. A range of issues is addressed, such as: the male population’s reaction to recruiting drives; Gallipoli; the government’s wider range of powers over some aspects of people’s lives; effects on the economy, and the changing role of women. Cartoons, posters and photographs illustrate the information. Fromelles : the story of Australia's darkest day : the search for our fallen heroes of World War one by Lindsay, Patrick. 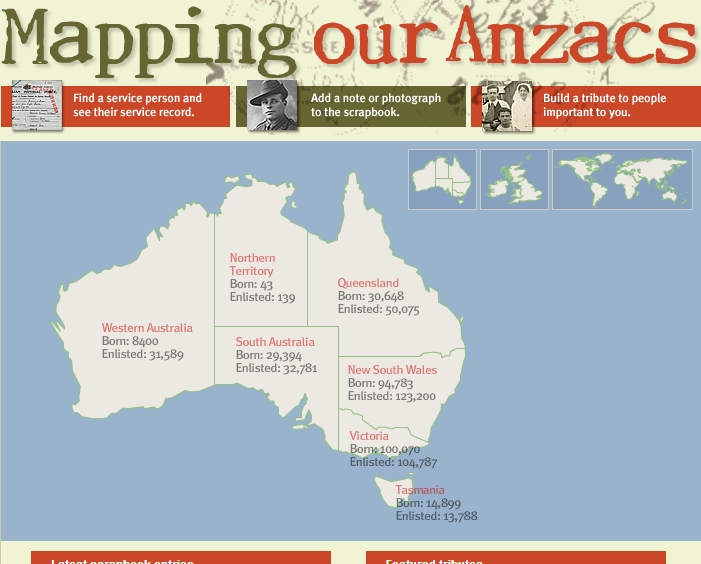 Mapping our ANZACs - Find a service person and see their service record.